I am a former university professor in the field of sign-language interpreting. I hold a Master's in Deaf Education from Western Oregon University and a B.S. in English from Lewis and Clark. (Aside from American Sign Language, I am also fluent in Russian and have dabbled in Spanish, Romanian and Welsh.) My experiences growing up in Oregon helped nurture my interests in nature and hiking, which contributed to my "King of the Trees" series. Since my family was originally from Wales, I incorporate the Welsh language in that series of seven fantasy titles. J.R.R. Tolkien's works in particular sparked my passion for languages, writing, foreign accents and runology, all of which I've incorporated in this latest title in my Creation Seekers series. I've always been fascinated with cryptozoology, which has given rise in part to both titles in this new series. 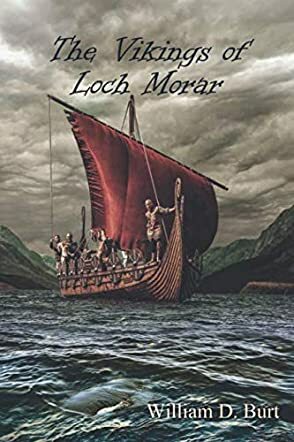 Having visited Scotland a few years ago, I found that part of the U.K. made an ideal setting for The Vikings of Loch Morar. I hope you'll enjoy this title!